There is a lot of fun to be had doing Lake Garda clothes shopping! The Italians really know how to dress to impress and also the European fashion capital, Milan, is close by. So, you just know that the clothes here are going to be amazing and at the cutting edge of the latest designs. As is the case with most places, the bigger the town the better the shops. In Lake Garda though, being Italy, you will find clothes shops everywhere and some suprising bargains too! We have often being surprised at what good prices there are here, especially if you seek out the little back street shops. 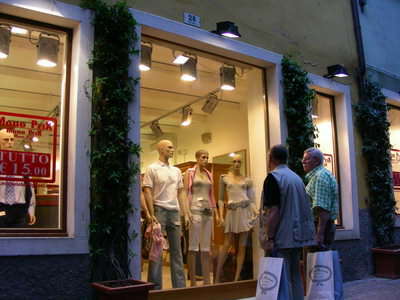 If you purchase more than one item from the same store during your Lake Garda clothes shopping expedition, you can often get money taken off the normal price. If, however, you were to come here with eyes only for the latest top designer clothes, then I would recommend you go to Desenzano and Riva, as these towns will give you the best choice of top boutiques. Shop at either of these 2 towns and the sky is the limit, you can spend whatever your heart desires! The shops are open quite late here, so you can take your time and really explore all the best Lake Garda clothes shopping. Which is the Best Lake Garda Clothes shop? 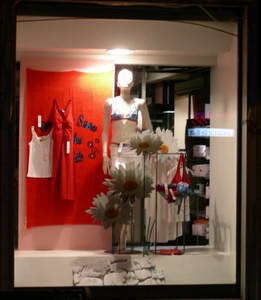 Do you love shopping for clothes at Lake Garda? Loads of us do, but which do you think is the best clothes shop here? Why not share your story about it and you are highly likely to get your own spot on our website! Your story could well feature on a dedicated web page and may even get in our newsletter too! How good would it feel to show your friends and family your own Lake Garda story on a well respected Lake Garda site! We love pictures as well, so feel free to send us your best shots and there will be no mistaking you then! To find out more about shoes, handbags and other leather clothing and accessories, please look at the leather shoes and goods page.